Sometimes the simplest method is the best way. That’s true in the case of the all-natural Steel LEFF Amsterdam Tube Clock, a contemporary timepiece that could have been made a century ago. Designed by Piet Hein Eek for LEFF Amsterdam, the bedside accessory was inspired by Eek’s interest in working with a classic tube and extrusion ring, something that had never been done before with a clock. 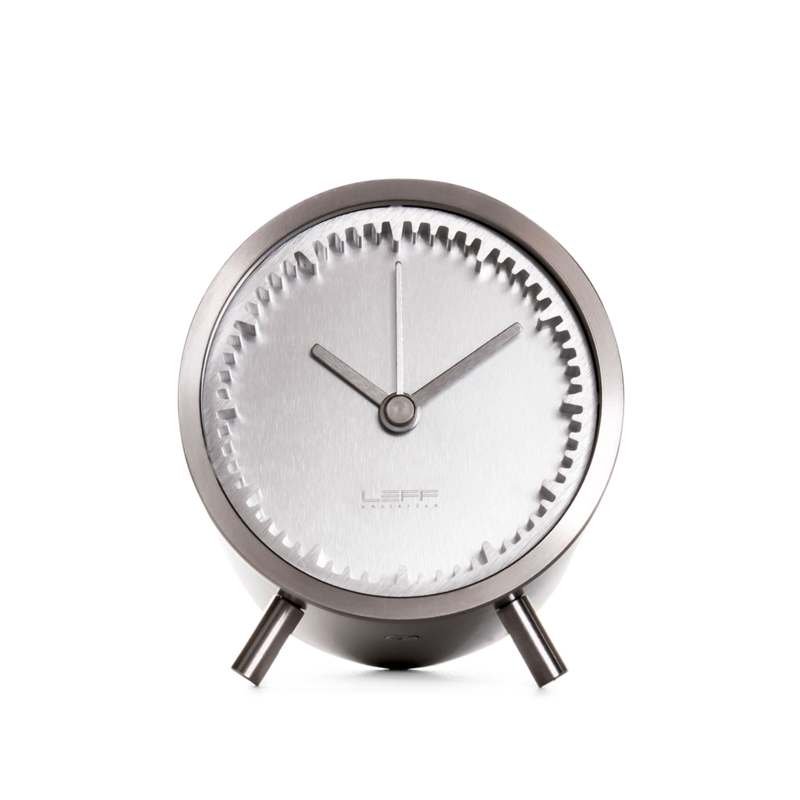 The metal was forced through an extrusion mold, creating the long, tubular shape that makes this clock such as stunner. Minimalist and refined, the stainless steel version of this monochrome design features a three-hand quartz movement and gear-like indices. The tube clock comes with a LR44 battery, a cleaning cloth, an instruction manual, and a 5-year warranty.